Have you ever found yourself wishing your toy trucks you had as a kid could come to life? Ford’s Tonka line makes that happen, with bright yellow pickup trucks that look quite a bit like the yellow trucks of your childhood. With 2016 looming, the 2016 Ford F-150 Lariat Tonka is one of the trucks people are talking about. Though it is not yet for sale, the truck has made a grand debut in March of 2015, and much buzz has been generated about the truck and the potential it holds. Rugged, attractive, and downright spacious, the 2015 Ford F-150 Lariat Tonka is expected to be a popular option for Ford truck enthusiasts. The exterior is perhaps the most striking feature of the Tonka series of trucks at the outset. The brilliant yellow color and Tonka logo draw instant attention and instantly identify the truck as a Tonka. 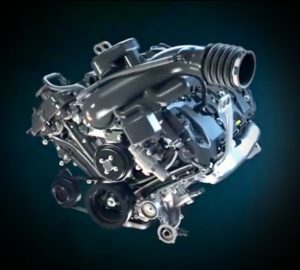 For the 2016 version of the truck, the hood was changed, offering the option for double air intakes to improve air supply. The body is supported on 20-inch alloy wheels and a newly designed Tonka bumper. The rear suspension boasts a six-inch Pro-Camp. These features combine to help the truck sit tall and command attention on the road. The carefully designed, masculine headlights and tail lights will feature LED technology for a long life. The truck will be equipped with four doors standard, but it’s possible a two-door model will be available for construction and other work applications. The interior of the F-150 Tonka saw fewer modifications over the 2015 model. It remains a spacious interior for a pickup truck, with plenty of room in both front and rear rows to seat up to five people. The infotainment system, which sits at the center cluster, has a large 4.2-inch touch screen display that is easily accessible to both driver and passenger, and is equipped with Bluetooth and USB connectivity. The Lariat trim on the interior provides an attractive and rugged look that is in line with what you would expect if your Tonka trucks came to life. A superior audio system and climate control improves the overall feel of the truck. What makes Ford truck enthusiasts the most excited about this truck, however, is what’s under the hood. The 2016 Ford F-150 Lariat Tonka retains the powerful 5.0 liter V8 engine of its predecessor, capable of delivering 360 horsepower. It has an automatic transmission with Ford’s 6-speed electronic Select Shift system, providing reliable and smooth transition between gears. What do these features mean? It means the truck will be a good all-around truck. It not only has the power and durability needed to be a work truck or to haul large loads, but it also has a smooth ride that makes it great for day-to-day driving. The rugged design means it can go off road or travel across difficult weather conditions, but the attractive look means it will turn heads on the freeway. While no diesel has yet been announced, rumor has it that Ford is considering a couple of new engines for the 2016 Tonka. One is a turbo diesel boasting Ford’s Power Stroke engine. Diesel enthusiasts would love this addition to the Tonka lineup. Rumors are also flying about a more powerful V10 6.8-liter model. Whether or not the diesel or the V10 are released, the buzz about the 2016 Ford F-150 Lariat Tonka is sure to be in high demand. No official release date has been posted, but experts expect a release in early 2016 of the popular truck. Photo Credit: Ford Motor Co.